1. 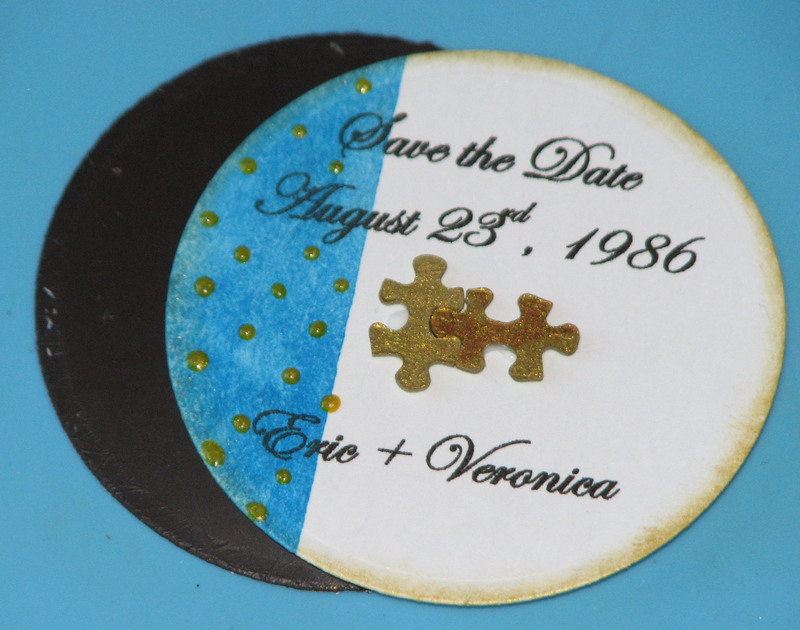 Print desired text on white cardstock; die-cut the text into desired shape and die-cut the magnet sheets as well. 2. 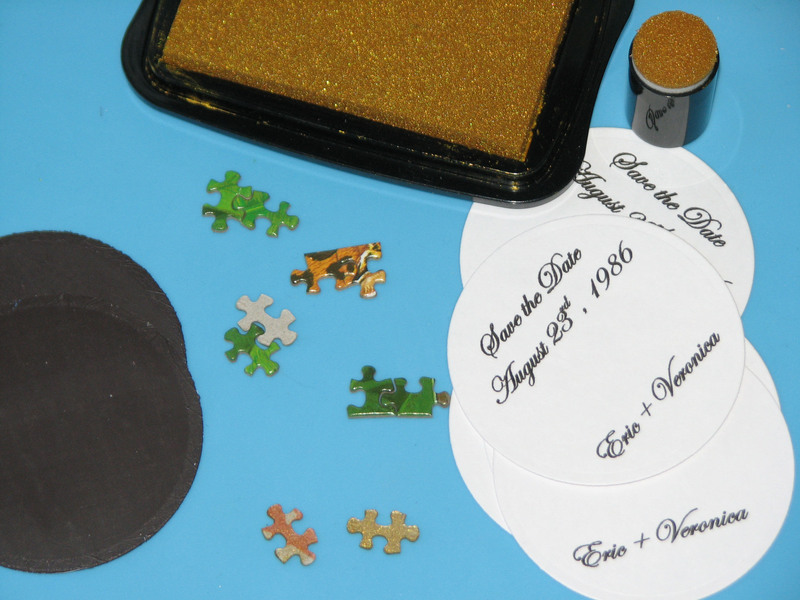 Ink the backs of the paired mini puzzle pieces with Delicata Golden Glitz and a Sponge Dauber. 3. 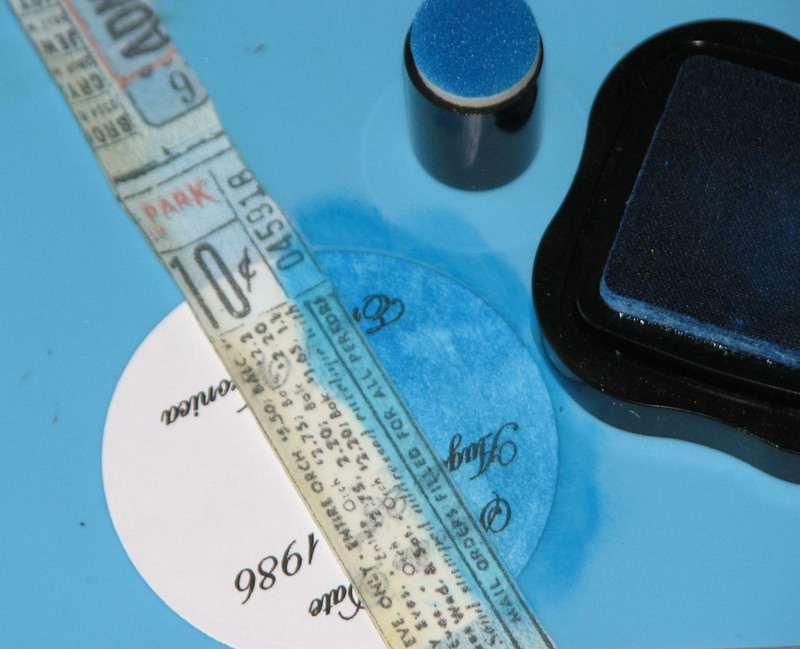 Mask each printed die-cut so the left side is exposed; color this area with a Sponge Dauber using StazOn Blue Hawaii. Remove the mask and re-use if possible. 4. 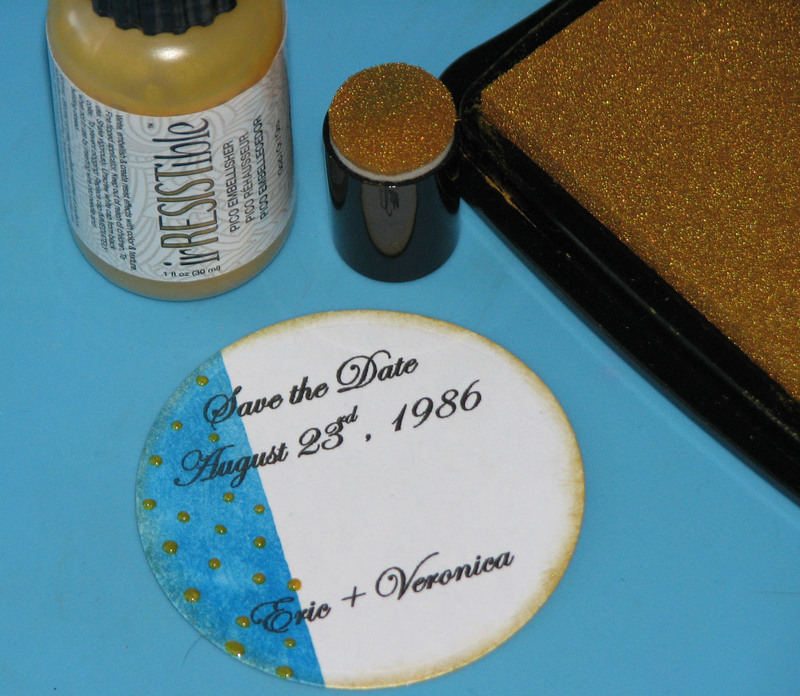 Use a Sponge Dauber to apply Delicata Golden Glitz to the edge of the die-cut. 5. Create a polka dot pattern on the colored portion with Gold irRESISTible Pico Embellisher. 6. 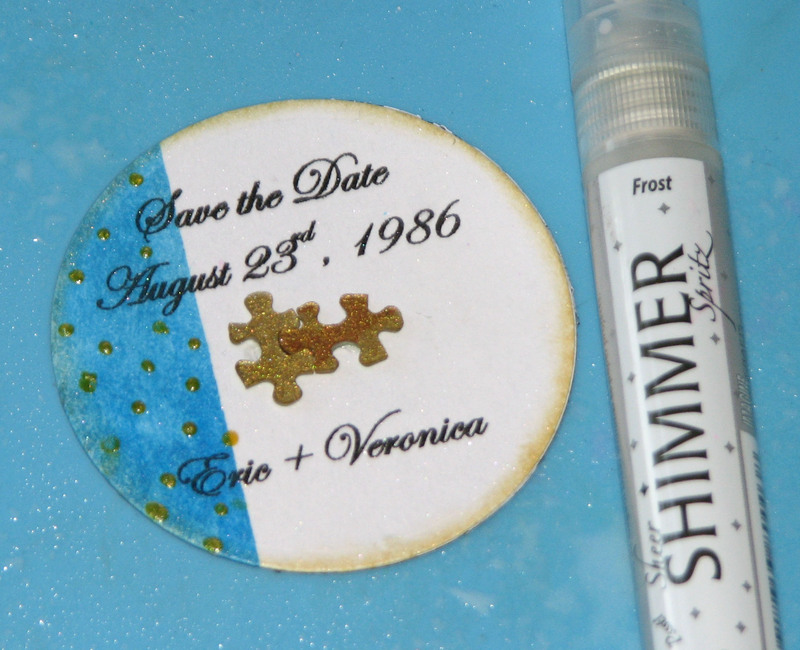 Affix the inked mini puzzle pieces and glue the embellished die-cut to the magnet. 7. For a bit of drama give each magnet a spritz or two of Frost Sheer SHIMIMER Spritz.